Everyone has a favorite pair of blue jeans, and this promotional flyer uses the familiar texture of denim to create a memorable effect. The background is a simple horizontal stripe in two shades of blue. A subtle gradient darkens the background near the left side, where light denim takes up about a third of the page. 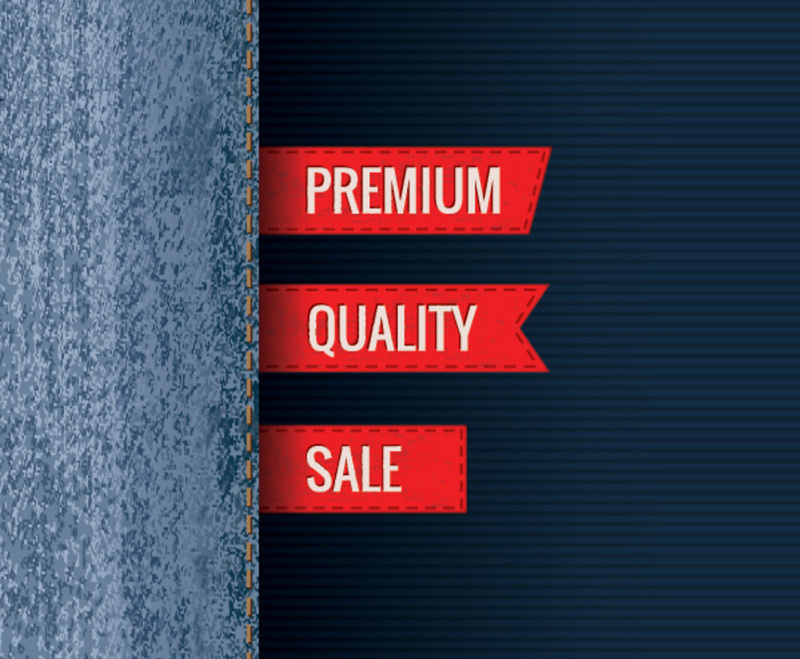 Three red tabs with sales text extend from the right side of the denim. Each tab has stitching around its side, creatively associating your brand with an instantly recognizable image. It's an excellent way to announce a sale or another promotional event.